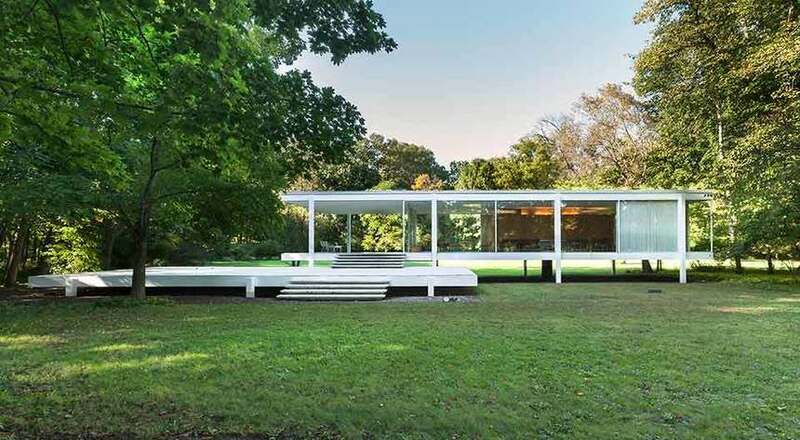 The Farnsworth House is a beautiful one-room weekend retreat built by Ludwig Mies van der Rohe between 1945 and 1951 southwest of Chicago. 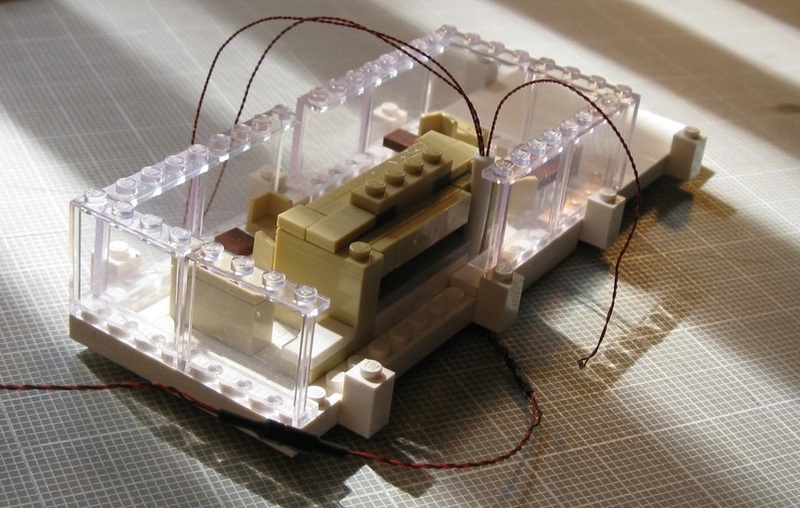 Lego Architecture released its beautiful Adam Reed Tucker-designed version in 2011. 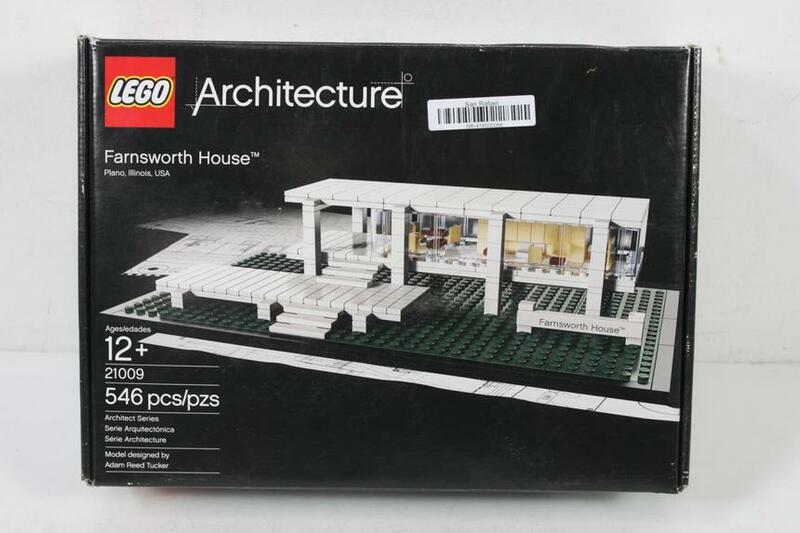 Since the 546 piece Lego Architecture Farnsworth House is something of a collector’s item and very expensive, I decided—once again—to construct and attempt to light the two-thirds size version produced by LOZ. The brick colors are quite similar in the two versions. The LOZ model does have fewer pieces due to the use of primarily 2x2 tiles on the patio. 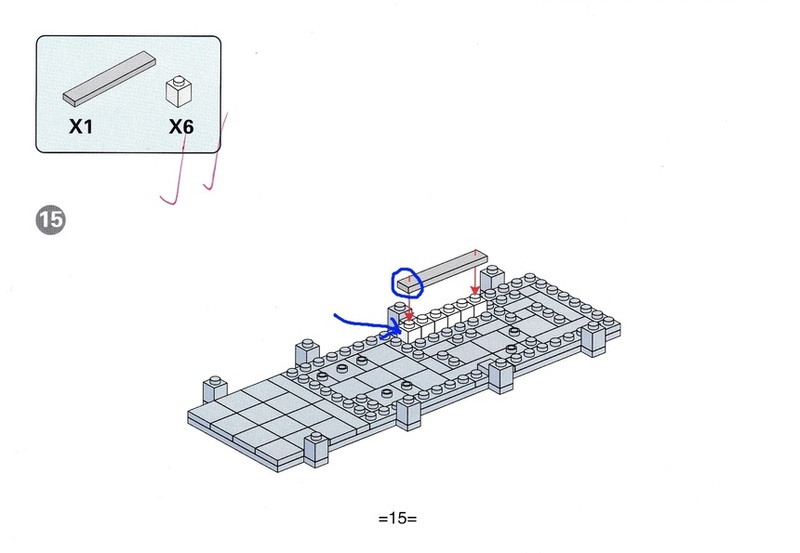 The Lego Architecture model uses 1x1 tiles on the patio. 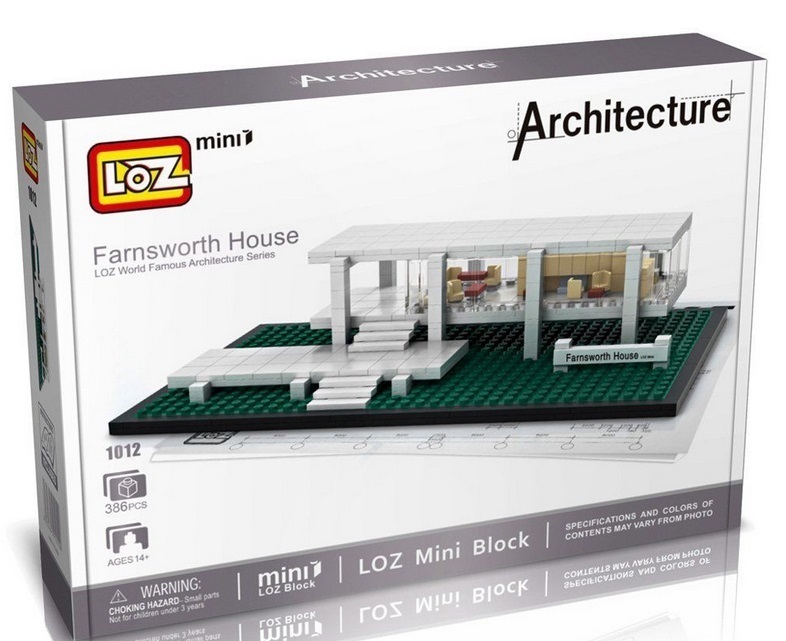 This is actually my second try with the LOZ Farnsworth House. I built and lit the model last year but was not happy with the results. I made the unfortunate decision to attempt to sandwich three Pico LED lights from Brickstuff between the two thin layers of the roof and the two thin layers of the floor. This simply did not work. 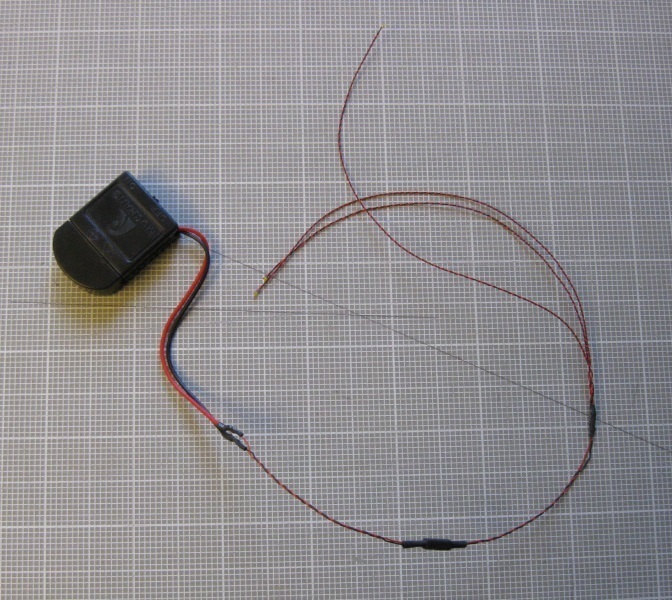 The LOZ plates and tiles are too small to allow the Pico wires to be so sandwiched. This plan might work with the full-size Lego model. In addition, I found no good way to hide the LED light wires in this lovely building full of windows. Here are a couple of photos from my first attempt. 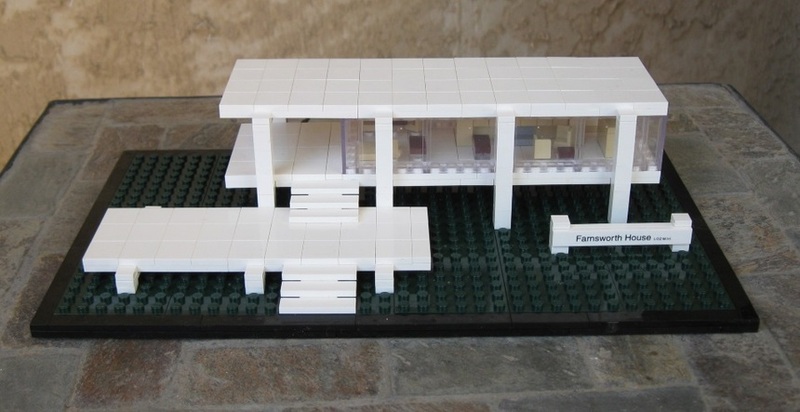 The roof of the Farnsworth House is supposed to be flat. The presence of a Pico light and wire underneath forced me to raise the roof for two tiles. I decided to forgo sandwiching any LED wires between roof layers and floor layers and, instead, create a hole in the flooring up through which wires could be threaded. Notice the opening in the center rear of the flooring. Creating this opening required that bricks be left out above the hole. One 1x1 white brick was omitted and a 1x5 sequence of gray tiles had to replace the 1x6 tile which sits on top of the white bricks. See the blue markings below in this page from the LOZ instructions. Much of this new approach was inspired by my experience with Rob from Brickstuff when I built and lit the Lego MOC of a Ford Model T. Once again I asked Rob to create a custom-made assembly—this time of three micro LED lights, wires of specific lengths and an on/off switch. These super-small lights with very thin wires work very well with the small LOZ design. Here is the assembly Rob created. The hole left in the flooring created an opportunity to use another idea which came to me—a bit of white Lego flexible hosing to hide the wires coming up from below. 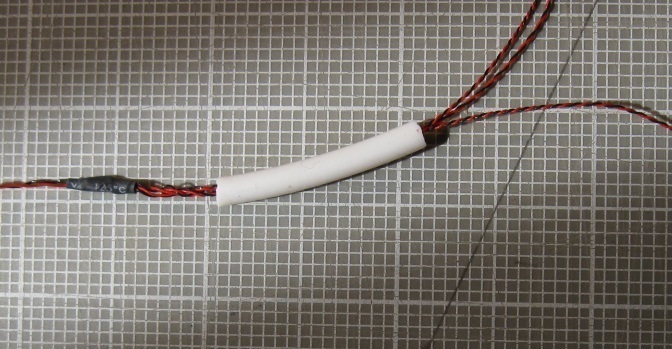 You can see the white tubing in the photograph below with the three LED wires emerging from it. Since this area of the building is actually the kitchen, I rationalized that a white “pipe” from floor to ceiling would not be totally amiss here. The wires extending from below the flooring were “pinned” with several extra bricks. 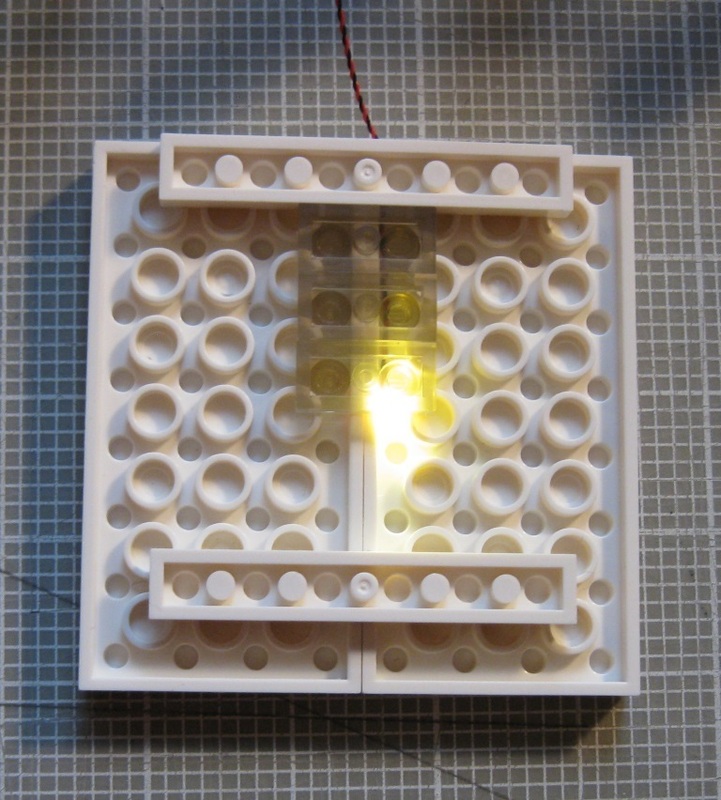 The wires leading to the three mini-Pico lights were run along the ceiling and similarly “pinned” with bricks, as in the photo below. The resulting model of the Farnsworth House looks better to me with the lighting wires much less visible and the white tile roof flat as it is supposed to be. You can see additional photographs at my Google Photos gallery here. Thanks, again, Rob! It does certainly show how a revisit can improve design/installation ideas. The final result looks great! Thanks as always for sharing, David Steere ! Thanks, James. Nice of you to say so. I'm just curious. Are you the James May of TOP GEAR in the UK? Thanks for taking the time to comment.